This authoritative design guide provides research based information to ensure that Automated Teller Machines (ATMs) meet the needs of all users. This authoritative design guide provides research based information to ensure that Automated Teller Machines (ATMs) meet the needs of all users. 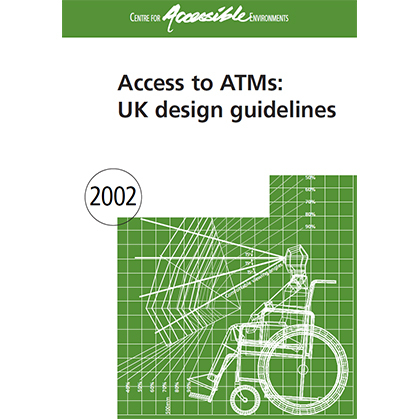 The guidelines are based on ergonomic research and testing, offering design specifications for those who design, manufacture, install and maintain ATMs.